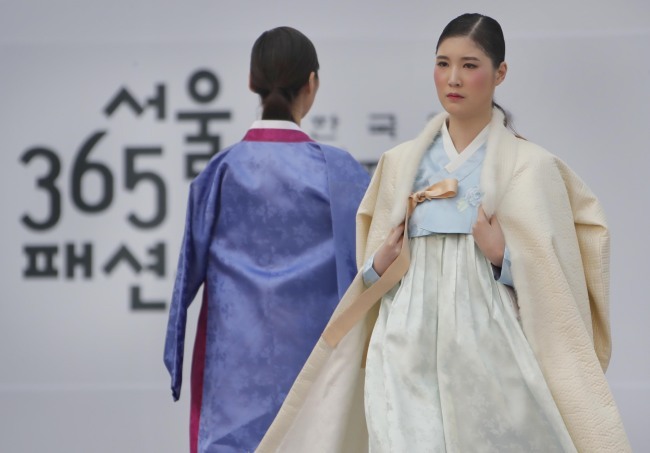 Modern interpretations of Korean traditional attire hanbok will showcase at the “Seoul 365 Fashion Show” slated for Saturday along the Cheonggyecheon stream in central Seoul. 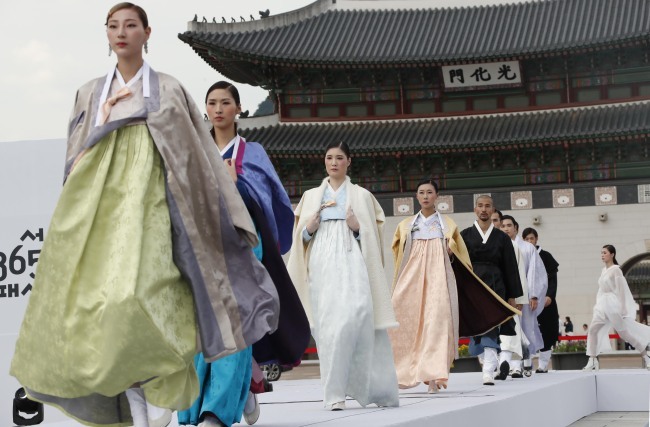 The area is known as one of the spots for the weekly Seoul Bamdokkaebi Night Markets that is open through Friday to Sunday. 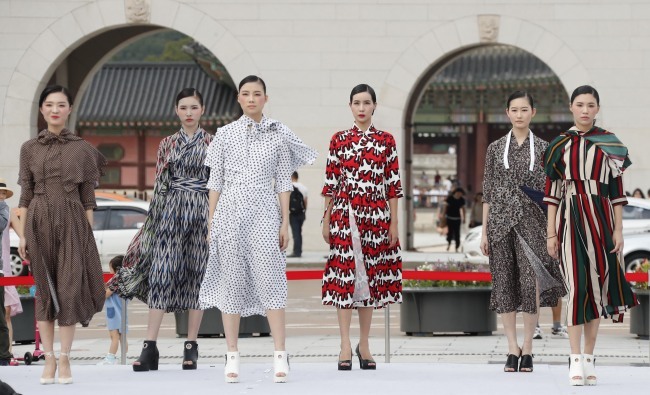 Counting down to the fashion show, 25 of the modern hanboks by designer Moon Hyun-seung were teased at Gwanghwamun square in front of Gyeongbokgung Palace on Monday.